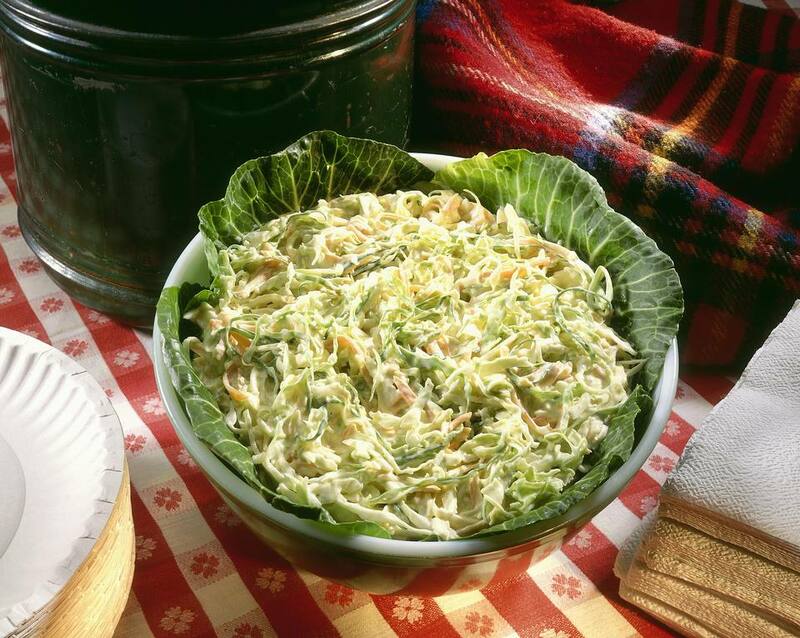 A refreshing and creamy coleslaw that works well on pulled pork sandwiches or served as a side dish. In a medium saucepan mix together mayonnaise, ketchup, sour cream, mustard, sugar, vinegar, salt, cayenne pepper, and black pepper. Bring mixture to a boil, reduce heat to low and simmer for 5 minutes, stirring often. Remove from heat and let cool for 10 minutes before pouring over vegetables. Mix well, cover bowl, and place slaw into the refrigerator for 4 to 5 hours before serving.